Correctly ordering all your team jerseys can be difficult, but we are here to help. We have learned to best way to get the order right, is simply send us an email and we will get back to you so together we complete the order, with correct names, numbers, colors and crests to help your team look their best! 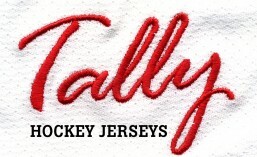 Email us at info@tallyhockeyjerseys.com to get started! If your team is interested in one of our jerseys – please ask us for a jersey sample. If you promise to return the jersey sample to us, we will send you a jersey sample for your team’s evaluation. 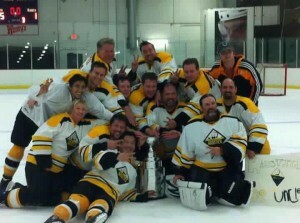 Typically, we can have a set of jerseys with a new custom crest design ready to ship to a team in 10 days. There is no minimum order quantity after your team’s initial order. Yes – after your initial order we will always have your crests in stock, so when you have roster changes we can ship any quantity of your team jerseys to you in 1 day!